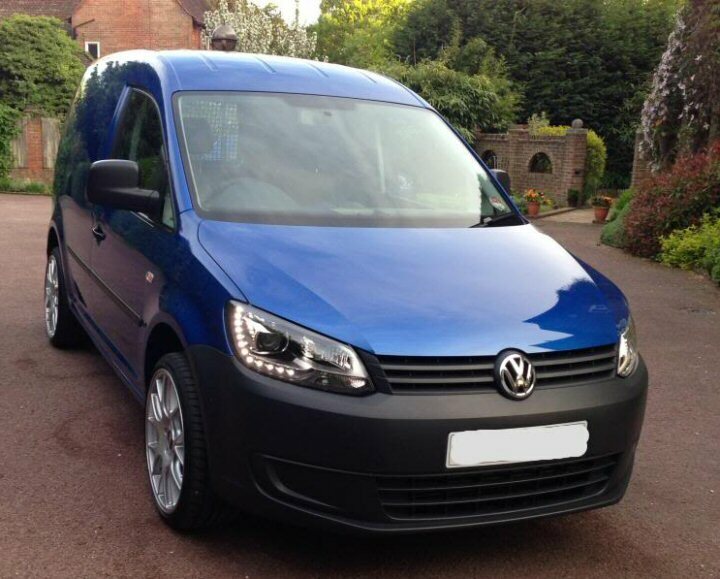 We are pleased to offer the genuine VW Caddy 2011-2015 B-Xenon headlights with LED DRL's(Daytime Running Lights). All models will require an upgraded central electrics module included in the price of the installation. Due to this all vehicle keys will need to be present for the duration of the installation process. This is so they can be re-synchronized with the vehicle central locking system. All parts are genuine VW and come with a 2 year warranty. This upgrade also requires the Autoleveling with AFS, this is due to the Dynamic High Beam which cannot be controlled otherwise. Static Cornering is also included in this upgrade. - Headlight washer jets (all models). - Auto-leveling will enable the headlights to automatically level when going up or down hill or when loading the boot. - The AFS function comes with auto-leveling and will enable lights to turn left and right when you turn the steering wheel. The Static cornering lights will come on in the direction you turn or when indicating in either direction up to 10 mph. - The AFS function works extremly well on bendy country roads. - Headlight washer jets will ensure the headlamp lens is relatively free from dirt. The headlight washer jets will activate the firs time you use the windscreen washers roughly every 3-5 times afterwards. (only when the headlights are turned on). Note: The front bumper needs to be replaced for the headlight washer jets. This is included in price, if your bumper already has the cut outs then it will not need to be replaced and will reduce the installation price. The current VOSA MOT guide(01/01/12 onwards) states this "Vehicles equipped with High Intensity Discharge(HID) or LED dipped beam headlamps may be fitted with headlamp washers and a suspension or headlamp self levelling system. Where such systems are fitted, they must work; however, it is accepted that it may not be possible to readily determine the functioning of self levelling systems. In such cases, the benefit of the doubt must be given. Headlamp washers may work in conjunction with the windscreen washers (when the dipped beam headlamps are switched on) or by a separate switch." The full section of the guide concerning headlamps can be found here. Above: Caddy 2K Fitted with Bi-Xenons and LEDs.